Born into abject poverty, Yoseph’s family lived on the breadline, not knowing where the next meal would come from. Trapped in survival mode, little time was given to contemplate the future or what Yoseph could one day become. But when Stand by Me opened the Bethany School in Ethiopia in 2006, Yoseph was enrolled. At age eight, his first school report describes a special student with a love for learning English and ample confidence to dream that one day he would become Ethiopia’s Prime Minister. At school, Yoseph was provided with a life-changing education; a school uniform, books, pens, nutritious meals, medical care, shoes and supportive teachers. Gifts that any child in the UK would automatically expect but would never consider worthy to be added to a Christmas wish list. But for Yoseph and thousands of kids around the world, such precious items have empowered them to dream big, hope for more and enabled them to reach their full potential. Because of his hard work and our support, Yoseph is today attending university and on his way to becoming a doctor! Every year, we are able to make Christmas extra special for our children because of the generosity of people in the UK who purchase items from our Gift Catalogue. Our Gift Catalogue is a great means of blessing our children but it is also a special way for you to buy a meaningful gift for family and friends. When your purchase an item for a loved one, we will send you a gift card with a space for you to write a personal message explaining what you have bought for a child in lieu of a present for your friend. 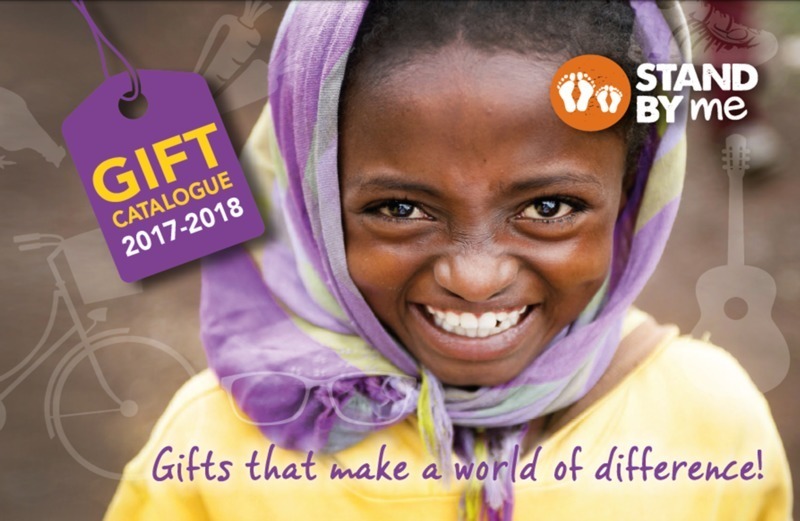 So if like me, you are struggling to find a gift for someone who has everything, why not get in contact with us on 01708 442271 or email [email protected] to request a catalogue and purchase a gift for a child who has nothing. We would love to make this Christmas the best one yet. Gifts, large or small, make a world of difference to our children, providing them with a great education, keeping them healthy, filling them with joy and helping them to know they are cared for and loved by God. This Christmas our aim is to provide every child in our care with a pair of shoes to protect their feet from harm everywhere they journey. Will your office, school or church consider our children in your Christmas giving?